Brenda Nicholson was a quiet kid who did well in school. But the self-professed daydreamer struggled with attention and focus, having trouble deciding what she wanted to do in life. She frequently changed jobs and majors. She got bored easily. Despite garnering an impressive collection of credits, she never attained a college degree. It wasn’t until she was 42 that Nicholson discovered the underlying cause of her problems: ADHD. Like Nicholson, many women with ADHD elude diagnosis until later in life. Research published in the Journal of Clinical Psychology in 2005 documented a ratio between girls and boys with ADHD equaled 1:3, whereas between women and men it was between 1:2 and 1:1. ADHD is often perceived as a “male” disorder that manifests in hyperactivity. But girls with ADHD typically aren’t hyperactive; instead, they tend to be inattentive and forgetful. “Unfortunately, most clinicians continue to see this disorder through the lens of how the elementary-school aged boy presented, and often miss these girls with ADHD,” says Patricia Quinn, a developmental pediatrician in Washington, DC. That’s not to say that all girls with the condition fall into the quiet daydreamer category. Zoë Kessler, for example, was a rambunctious, highly emotional child. “My mom would often say, ‘Why can’t you get on an even keel?’ when referring to my rapidly cycling emotional highs and lows,” Kessler says. Regardless of its presentation, ADHD can affect women’s lives in dramatic ways. “We see in a lot of girls and women that they have a high degree of psychological fallout as a result of having the disorder,” Quinn says. Young girls with the condition are often plagued by anxiety and school phobias, she notes. “They are embarrassed and humiliated by their ADHD,” Quinn says. Problems frequently follow girls into adulthood. Women with ADHD are more than three times as likely to have ever had anxiety and suicidal thoughts — and more than twice as likely to have ever had depression — compared with women without the disorder, as described in a 2016 study published in the journal Child: Care, Health and Development. While male and female manifestations of ADHD differ, the neurobiology behind that difference remains unclear. A small study of 119 adult people with ADHD and 107 adults without the condition published in 2014 in the journal European Neuropsychopharmacology looked at the volume of the caudate — a structure in the brain involved in motor processes as well as learning processes — in men and women. Men with ADHD had smaller right caudate volumes than men without the disorder— a finding that did not seem to apply to the women in the study. A much larger study, published in the journal The Lancet in 2017, failed to confirm this difference between the two genders. While ADHD may manifest differently in girls’ and boys’ behaviors, there don’t seem to be clear-cut differences in brain anatomy or genetics that could explain it, says Barbara Franke, a professor of molecular psychiatry at Radboud University Nijmegen in the Netherlands, the senior lead for the ENIGMA ADHD working group and the ADHD working group of the Psychiatric Genomics Consortium. The good news for everyone is that ADHD is “a very hopeful diagnosis,” Quinn says. With the right treatment plan — which may involve medication, behavioral therapy, and coaching — a patient’s quality of life can improve greatly. 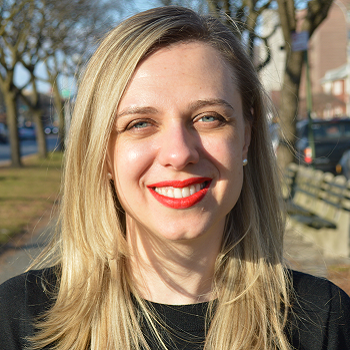 Agata Boxe is a writer based in Brooklyn, New York, covering health, science, and technology.